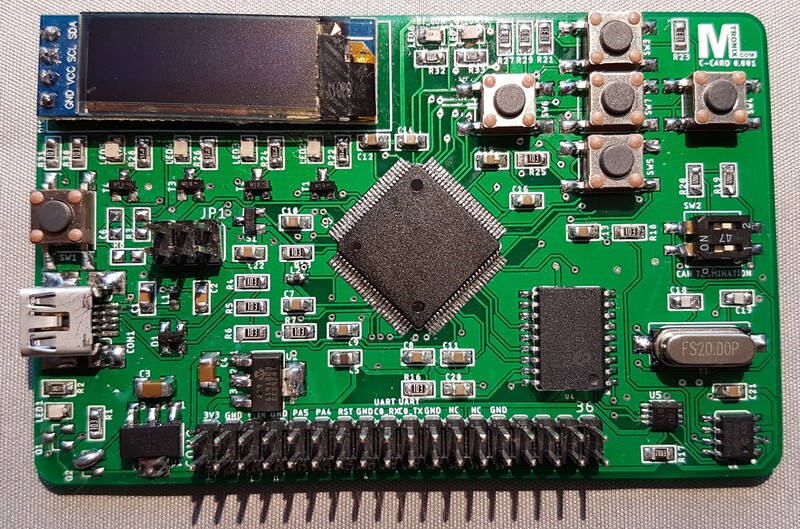 I’m started developing a development board for the Atmel ATXMEGA128A1U for easier prototyping and access to testing the micro controller with different peripheral sensors, devices and ways of communication i.e. CAN-BUS interface, LCD interface, Temperature sensor, Buttons, LEDs, SD-card, Serial interface, BT BLE 4.0 module, SPI, I2C, USB, ADC, DAC, AREF, PDI and general I/O. 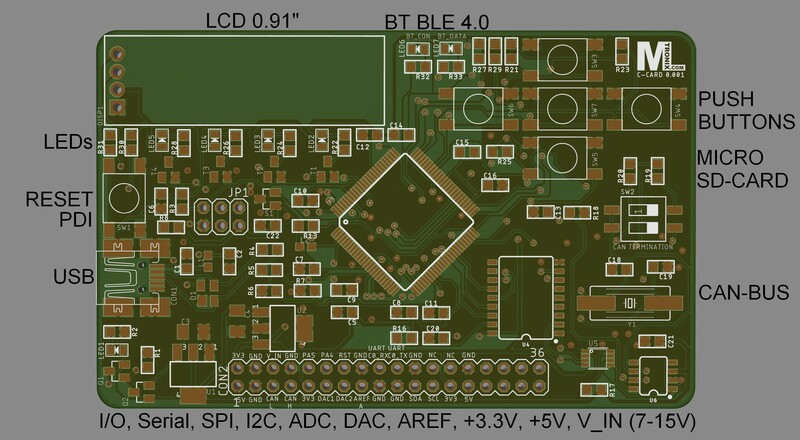 First version of the PCB layout with the size of a credit card, hence the name of the board C-CARD) can be seen below. 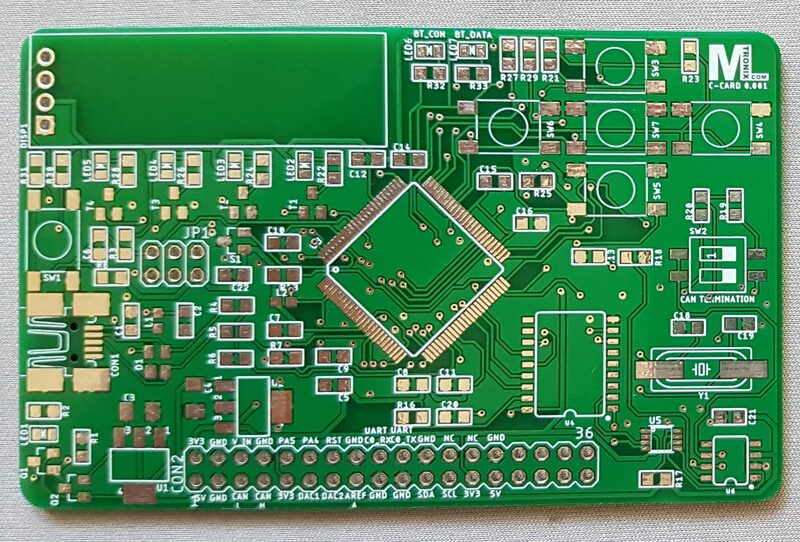 2018.08.23: PCBs have arrived. The quality seems to be good. 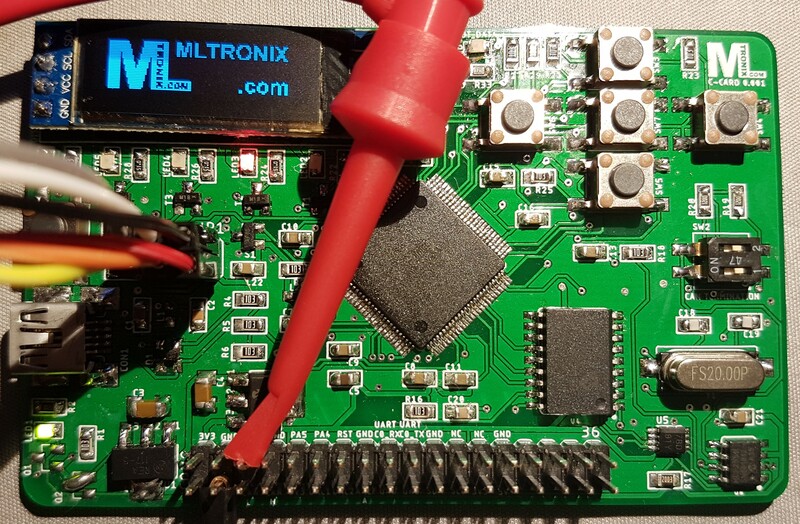 2018.09.07: Micro-controller programmed with LCD Driver.